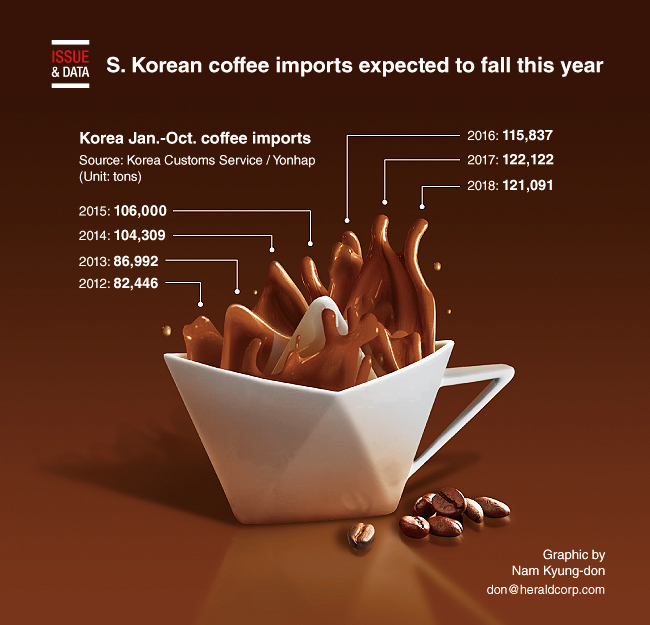 South Korea is expected to import less coffee this year for the first time in six years, as demand for the beverage has been hit by sluggish economic growth, according to market watchers here. In the January-October period, total imports of coffee stood at 121,019 tons, down 1,031 tons from a year earlier. This is the first on-year decrease since 2012. Asia’s fourth-largest economy imported 82,446 tons of coffee in the same period in 2012.